The fine surface classification is being used for new machine vision areas. 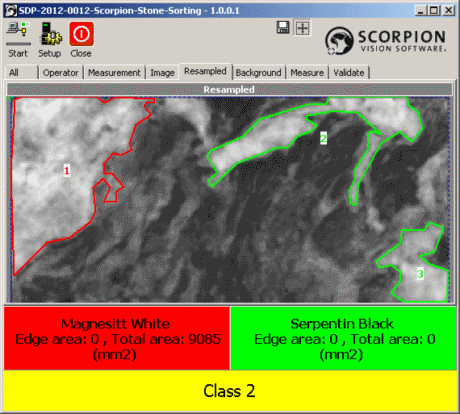 The screen shot below is from a system that sorts granite into Class 1, Class 2 or Reject. The system is working together with a robot to implement a complete solution.